Takeo, ne Tomasu, is one of the Hidden. His mother and stepfather have raised him to follow a god who demands non-violence. When the local war lord slaughters the village in his quest to obliterate everyone of their faith, Takeo is the only survivor. His flight into the surrounding mountains afterward brings him into the care of a rival lord who adopts him while also connecting him with his father's family - race of gifted assassins and spies. This is a coming of age story that pits upbringing against inborn gifts, desire against need, and trust against loyalty. 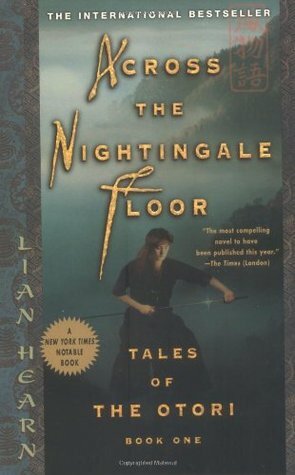 Richly layered, Across the Nightingale Floor spins out fantasy inspired by Japanese culture and history. In it, Hearn has brought to life a cast of characters whose resilience, grace, and flaws shine like precious gifts.